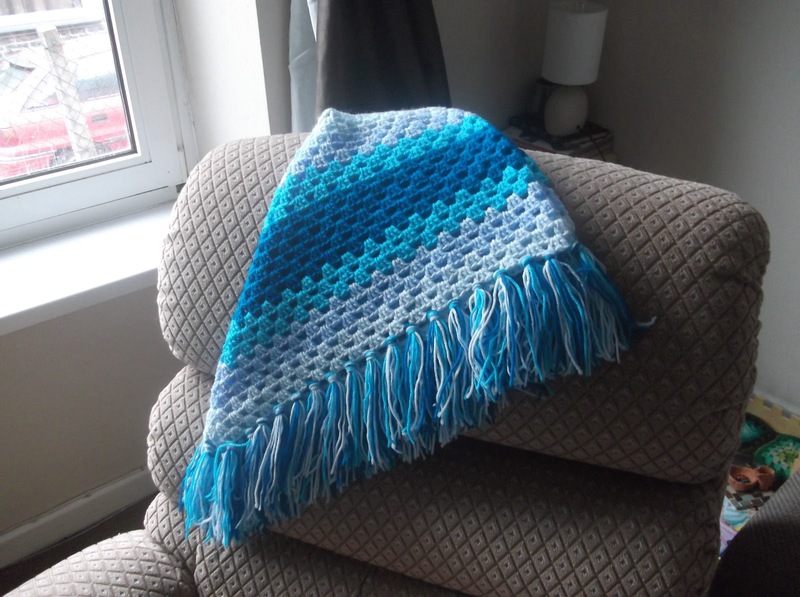 I may have mentioned before that I'm making a few things for Myf as part of her Yule presents. When she was very small, she had a little pink and white poncho that she loved very much and still has but of course it's way too tiny for her now! 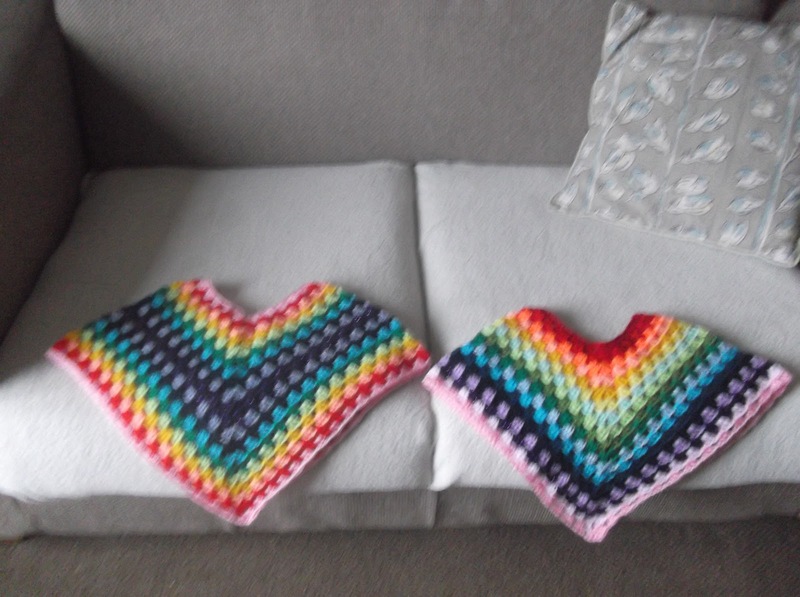 I'm seriously tempted to make a couple for my older nieces but that may be going overboard... What do you think Mummycat? 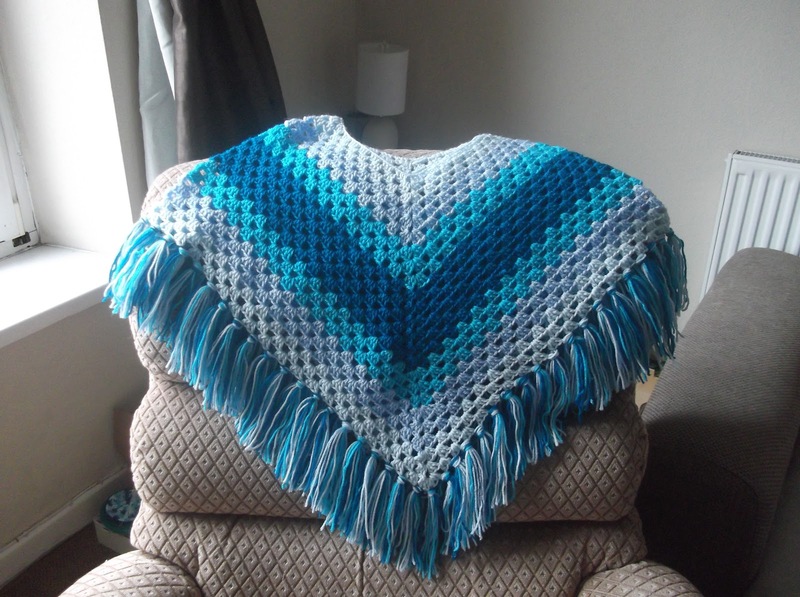 Love the blues in Myfs poncho - looks really warm and snuggly :-) Your tiniest niece has a very similar rainbow poncho so if you did make some for the bigger nieces then it would be great to have all the girls together for a photo shoot! 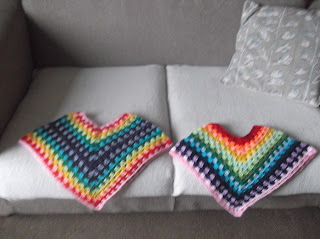 Ahh, I thought I'd heard a rumor that littlest niece had a new poncho :-) I think it's definitely my turn now to make a couple...it would be ultra cute to have a picture of them all together with or without the ponchos! Having a little trouble figuring out what to get Sam for Christmas-anything he's into or he'd like? Sam love books, is starting to enjoy playing simple games, and he is really into Tree Fu Tom (though I can't stand the dreadful program!) He still loves Thomas the tank engine... oh and will eat anything sweet/or chocolate!